On Sept. 13-14, Oprah came to Metro Detroit for The Life You Want Weekend. She and trailblazers such as Rob Bell, Iyanla Vanzant, Mark Nepo, and Elizabeth Gilbert talked about the courage needed to live an authentic life and finding inspiration to live on your own terms. Oprah and her trailblazers were all over social media, as attendees Tweeted and posted to Facebook, sharing inspirational stories and star-struck thoughts and pictures using the hash tag #LifeYouWantDET. 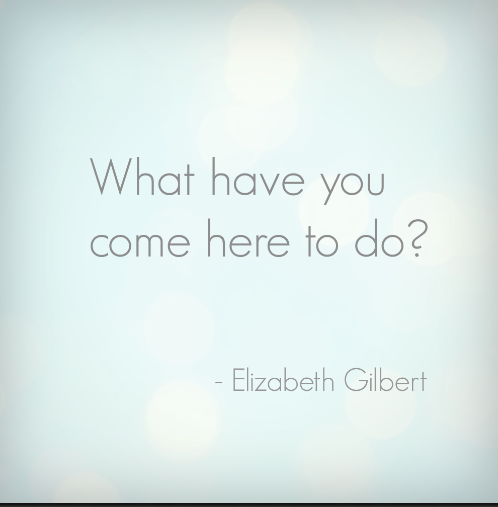 Gilbert talked about the journey of self-discovery in terms of a quest. Once one crosses over the threshold, one can never return to the way life was before. Nothing about the quest will be easy; there will be lots of trials and tribulations. But the reward of knowing exactly who you are and what you stand for is worth it. Vanzant talked a lot about taking personal responsibility for the direction of you own life. She said, “Do not be loyal to things that are not good for you.” This goes right along with Gilbert’s description of the quest; if you are going to change, you are going to have to let go of some comfortable, yet nonproductive, parts of your life. Our social media experts know that this message rings true for many small business owners. Venturing out and using social media to build your brand can be intimidating. “How do I do this? Am I doing it right? What should I post?” are typical questions. But because social media creates such transparency, it forces you to become clear on who you are and what your brand stands for. With this kind of inner dialogue, you inevitably become authentic and true. If you are ready to start using social media for your small business, contact the experts at Hay There Social Media. We can help you have authentic, relatable interactions with your customers and clients – building your brand and increasing your reach.